Narrative: The piano was used at the Port Hood Consolidated School - played at concerts, graduations etc. Also used for piano lessons. It is unknown as to how it came to be at the school. The museum took possesion of the piano after the donor became aware that it had been left in one of the portables. 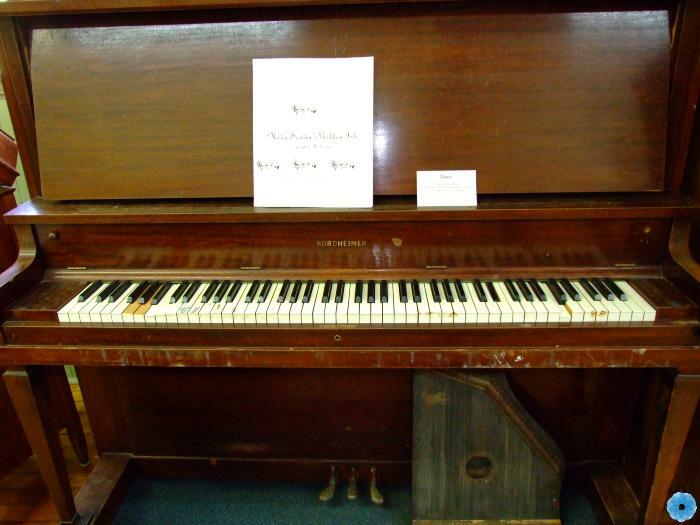 Description: Upright piano, cherry wood colour, attachment for padlock on the right side. History of Use: The piano was in the old Port Hood Consolidated School and used for piano lessons, concerts etc. The piano was taken from the school before it was demolished. Manufacturer: A. & S. Nordheimer Co.